Check out this absolutely amazing custom spaceship created by Steve Anderson of Indianapolis! 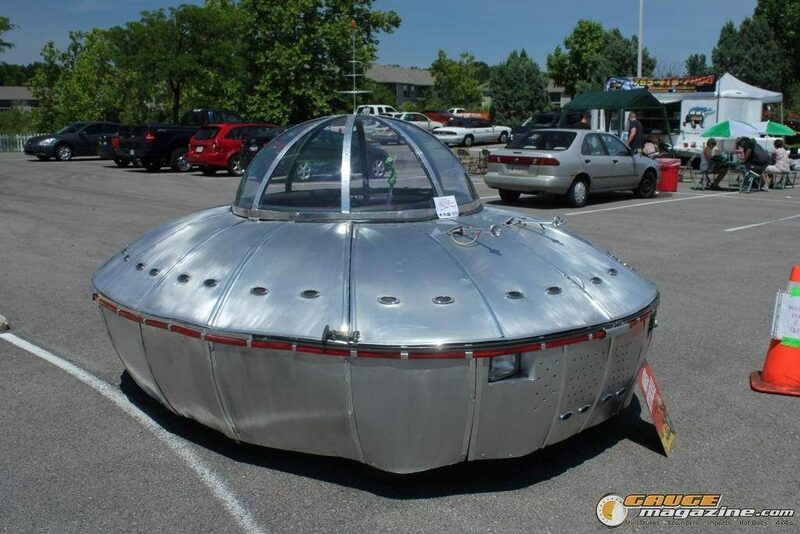 Built off of the frame of a 1991 Geo Metro, this truly unique vehicle looked like it came off the set of Earth Vs. The Flying Saucers (don’t know the film? Look it up, kids) and has been featured at car shows and special events all over Indiana. Fans of “Rick and Morty”, “The X-Files”, and classic science fiction are going to have one of the most unique photo ops ever with this downright odd contribution to the Grand Rapids Comic-Con car show! Proceeds go to the Bridge at Arbor Circle. “If there’s something strange in your neighborhood, who ya gonna call? “The Great Lakes Ghostbuster Coalition”! 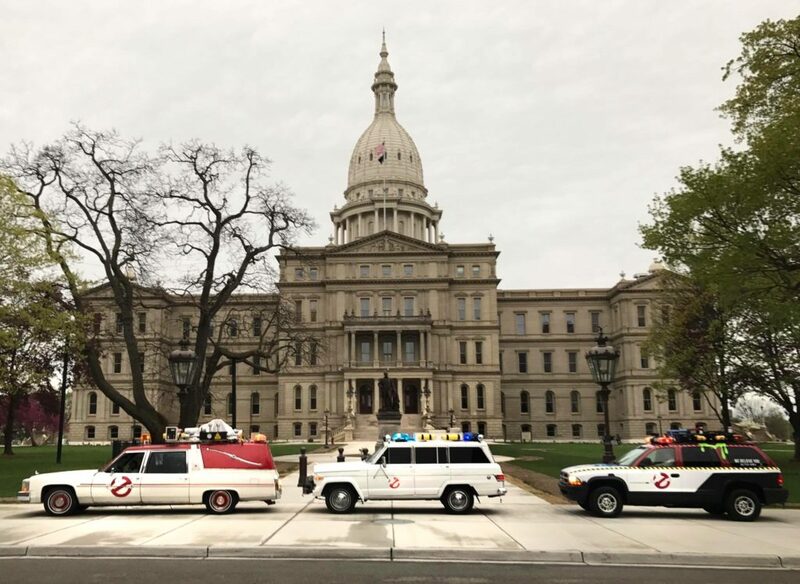 They will arrive in their version of an Ecto-1: one of many ghostbusters’ tribute cars that are seen throughout Michigan. These vehicles serve our local spectre-chasing heroes in their quest to capture all malevolent spirits, and one will be providing an awesome photo op! You can find the Ghostbusters online here for all your spirit-filled needs. First comes the oooing and the awwing, then the running and the screaming…well maybe just the admiring noises directed at this marvelous rendition of a Jeep from the dinosaur classic Jurassic Park. Built by Matthew Scheltema, this is the perfect vehicle to use to escape a herd of Velociraptors or pose with a group of buddies for an amazing photo op. 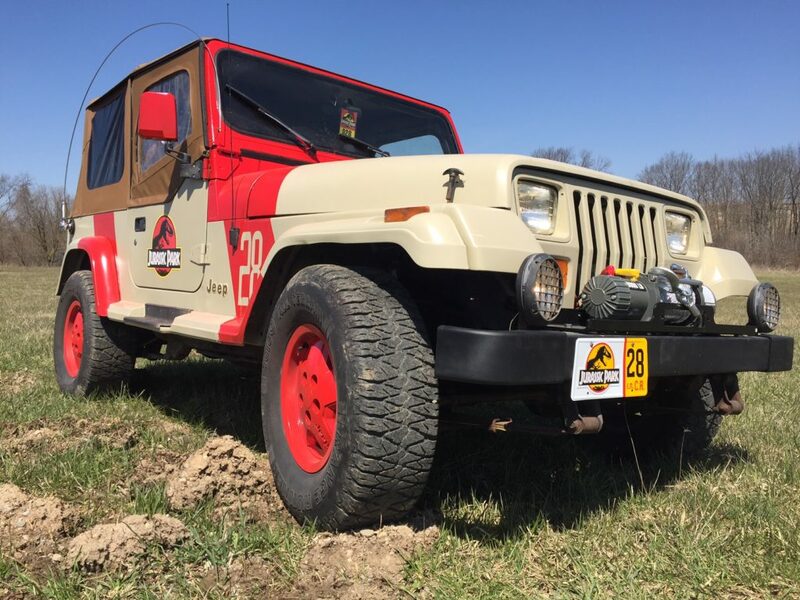 Make sure to check out the Jurassic Park Jeep at the Grand Rapids Comic-Con! All proceeds to go to Bridge at Arbor Circle. Photography work at the car show is courtesy of M-Buck Studio. M-Buck Studio, owned by Michael Buck, is a freelance commercial, architectual, portrait, product and catalog, and wedding and family photographer. We are located in the heart of downtown Grand Rapids, Michigan and our clients come from all over Michigan as well as many other states. For more information on his studio please check out www.mbuckstudio.com.